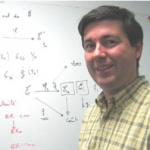 Jean-Marc Vincent is an associate professor at Grenoble Alpes University. His research interest encompasses performance evaluation, stochastic models, Markov processes, perfect simulation, traces and measurements of large systems. For more information, check his Academic Page.